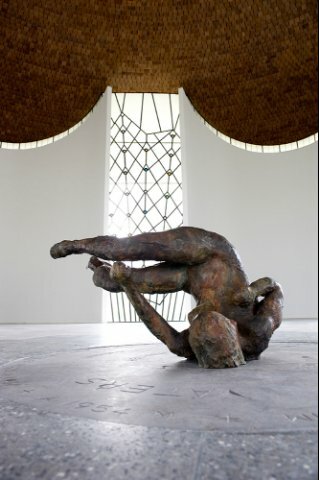 Eric FIschl's Tumbling Woman, a controversial sculpture reminding us of the 200 men and women who jumped from the World Trade Center to avoid being burned to death. 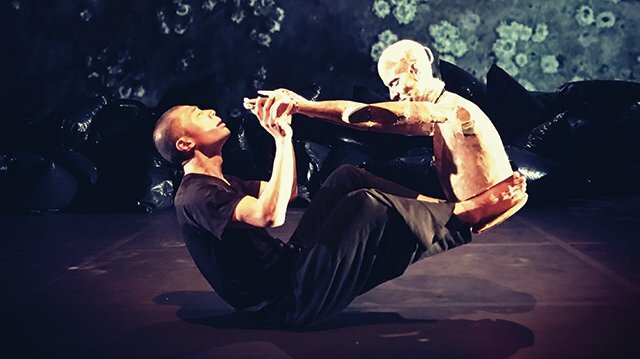 The Phantom Limb Company presents Falling Out at BAM's Next Wave Festival. A decade after 9/11 in the US, an earthquake in Japan created a tsunami which swept over swept over Otsuchi, Japan. A terrorist attack and nature's own are comparable in the name dates by which they are remembered. The tsunami caused meltdowns at three nuclear reactors in the Fukushima Daiichi Nuclear Power plant. Hundreds of thousands of residents were affected in what came to be called 3/11. Jessica Grindstaff created Falling Out, a moving portrait of death by drowning, and haunted by potential death by radiation. The work memorializes the catastrophic occasion in plain, quotidian interviews with Japanese citizens, and an evocative dance and video staging which rivets the audience in the moment. 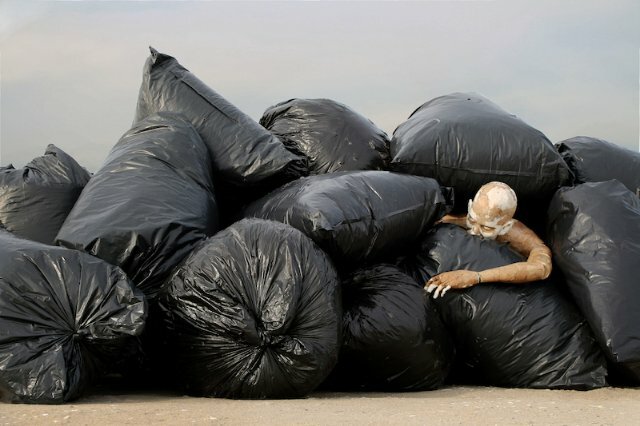 The performance piece opens with an extraordinary 3-dimensional, rectangular block lumbering across the stage in front of black plastic bags piled high. Are these body bags, or limb bags if you will? Or are they filled with nuclear waste, unburied? The moving figure is a group of dancers intertwined with phantom limbs. The puppets in the production are dead figures. Erik Sanko created these 'puppet' limbs. We will see arms, and legs as the evening progresses. Compressed at first without differentiation, they come apart for live figures to interact with. Sanko also created the score, in which new and old music are mixed. American elements are odd, yet they may not sound American to the Japanese ear. The original composition is hauntingly repetitive. Dancers gesture with the spoken Japanese, making visual the stories of individuals like the grain shopkeeper Teilchi Sato, his stock behind him, his store orderly. Dancers keep the motion going with undulation of water. Banks Artiste and Keith Boateng stand out. Sometimes more bags crop up on the horizon. They are mysteriously numbered. Over them, videos roll, as massive waves move in. Incredible artistry gives us a sense of water's power in a mix of video and lighting. Brian H. Scott is credited with lighting which, from time to time, turns from black to a singular gold before darkness returns. Keith Skretch designed the videos, which not only capture the violence of water, but also create, with video, a startling mix of powerful waters. Perhaps the most striking abstraction is the surface of the water formed by a translucent white material which two dancers, moving backward from each other, unfold across the stage. 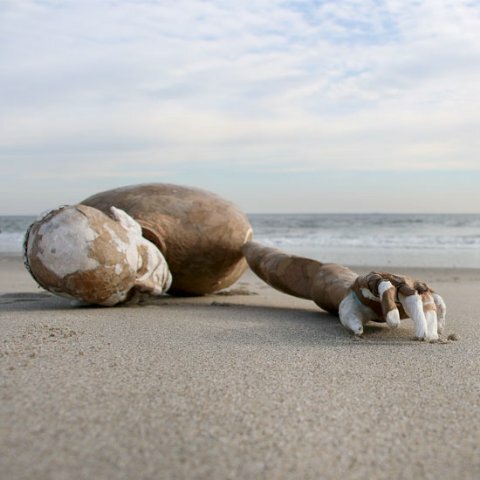 Beneath this 'surface,' video and lighting roil to create the deadly impact of water on humans. One of the most touching comments in video is a woman who reports that her mother said she now hated water. In fact, she was never going to eat fish again. This 'water' thunders across the stage even after the performance is over and the theater is empty. The Harvey Theater itself seems as stunned by this arresting performance as the audience.